StartMeeting®, brought to you by FreeConferenceCall.com For Business, is an enterprise-grade tool that provides HD audio conferencing and online meetings with screen sharing and video conferencing for up to 1,000 participants and includes managed services — all for a low, fixed monthly cost. 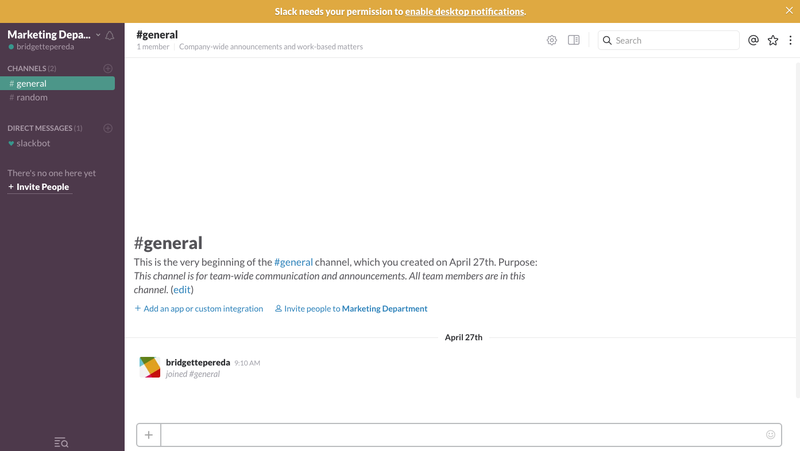 Make starting a conference call easier with the StartMeeting and Slack Integration. Instantly create a conference within Slack simply by typing /startmeeting. Click "Add to Slack" to start the installation. Enter the domain for your Slack account. Sign in with Slack email and password. 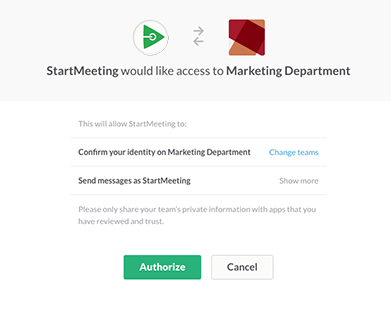 Click "Authorize" to allow Slack to access your StartMeeting account. Your Slack account will appear in the browser. Type /startmeeting and click "Enter". Click the link to "Connect" your StartMeeting account. Log in with your StartMeeting email and password. 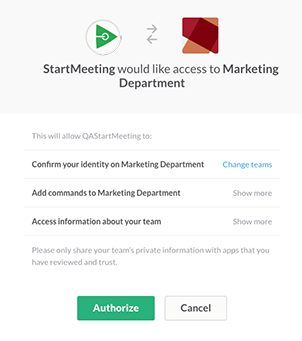 Click "Connect to Slack" to allow StartMeeting to access the account. Allow StartMeeting access to Slack. Click "Authorize". A notification will appear to verify the integration. Note: To remove the integration, simply go to the Settings page (under the Profile tab) and click the "x" next to Slack.